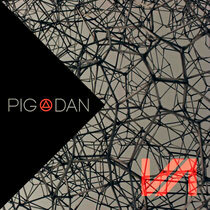 Pig & Dan’s Elevate label could be set to go from strength to strength in 2014 with a series of new releases planned. Pig & themselves return home for the label’s 12th release with two techno productions – the mind-bendingly ‘Slash’, and the equally disturbingly ‘Where The Wild Things Are’. Pig & Dan have been flying high over the past months with a series of releases, including ‘I Am One’ on Monica Kruse’s Terminal M label, ‘Eagles From Space’ (Bulletdodge), ‘Lonely Symphony’ (Cocoon), ‘Broken Melody’ (Soma), their ‘Morphism’ collaboration with John Digweed and Nick Muir on Bedrock, a remix of Test Pilot’s ‘Sunspot’ (Plus 8), and their remix of the Inner City classic ‘Good Life’ on Kevin Saunderson’s KMS label. This new EP is out 24 March, check it out below.